MedStar Medical Group Family Practice at Olney (Olney) - Book Appointment Online! With more than 100 healthcare providers in nearly 30 offices throughout the Maryland - Washington, D.C. area, MedStar Medical Group provides our patients not only with a dedicated staff of physicians near where they live or work, but also with seamless access to the extraordinary resources of the region's largest healthcare network. 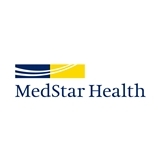 MedStar Medical Group is part of MedStar Health, a not-for-profit healthcare provider that combines nine of the leading hospitals in the region with a major research facility, primary and specialty care offices, home health care, pharmacies, radiation therapy, rehabilitation services and more. Each year, the physicians and nurses of MedStar Health help 1.5 million people prevail against illness and injury. We help them lead healthier lives, and we invest in the future health of the region through leadership in research and education. Dr Newkirk cares about me. She answers my questions no matter how inane and listens to my suggestions regarding my health issues. But she also seems truly interested in my family and my activities and hobbies. Speaking with her is like speaking with a friend.